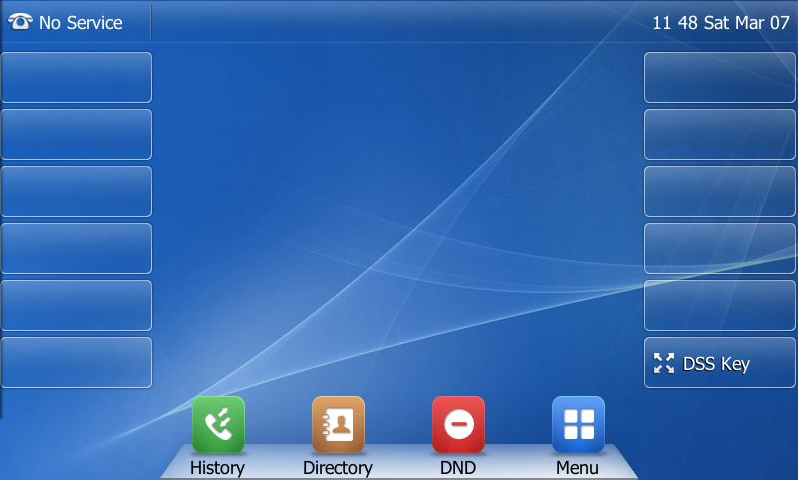 This feature is working on all snom desktop phones. For snom 300 this feature is available in version 8.7.3.7 and later. You now have a 128x64 pixel screen shot in BMP format of you phone's display. Since SIP 3.2.0 you can capture the current screen on a SoundPoint IP, SoundStation IP orVVX phone through the web interface to the phone. above needs to be added to the Configuration via the Provisioning Server. This does not automatically allow a User to capture the Screen, the functionality needs to be activated by the Phone User. Note: You need to re-enable the Screen Capture feature after every phone restart or reboot (repeat below). Enable or disable the Functionality. As the browser address, enter http://<phone’s IP address>/captureScreen . The current screen that is shown on the phone is shown in the browser window. The image can be saved as a file. Please consult your Admin Guide matching your SIP / UC Software Version. Login on the WEB interface and fill the Action URI allow IP List (path: Features > Remote Control > Action URI allow IP List) with any or IP address or your PC, then click Confirm. In the Brower, fill http://PhoneIP/screencapture in the address bar (Phone IP is the IP address of your phone), then press Enter key. In the first time, for security consideration, the phone will display a message Allow remote control. Please press OK. Then repeat step 3.